A quintissentially Tuscan estate, set amongst the yellow hills and cypress trees of Central Tuscany. 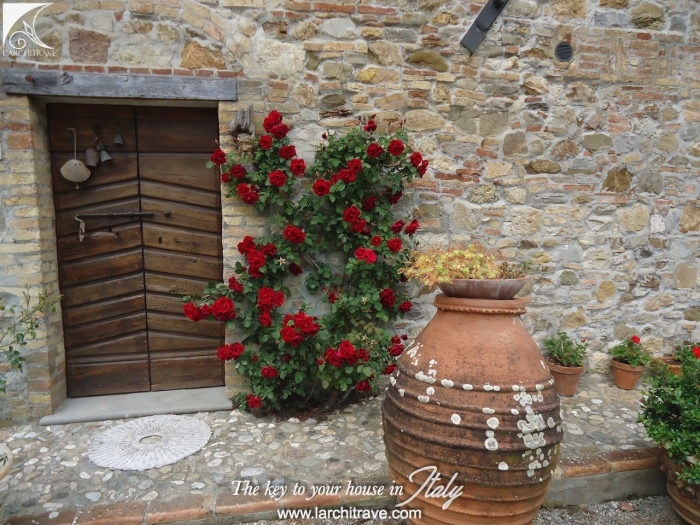 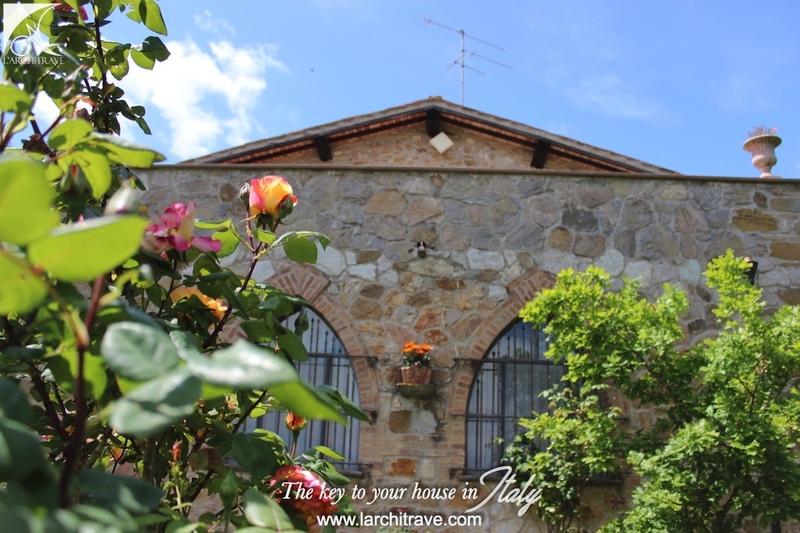 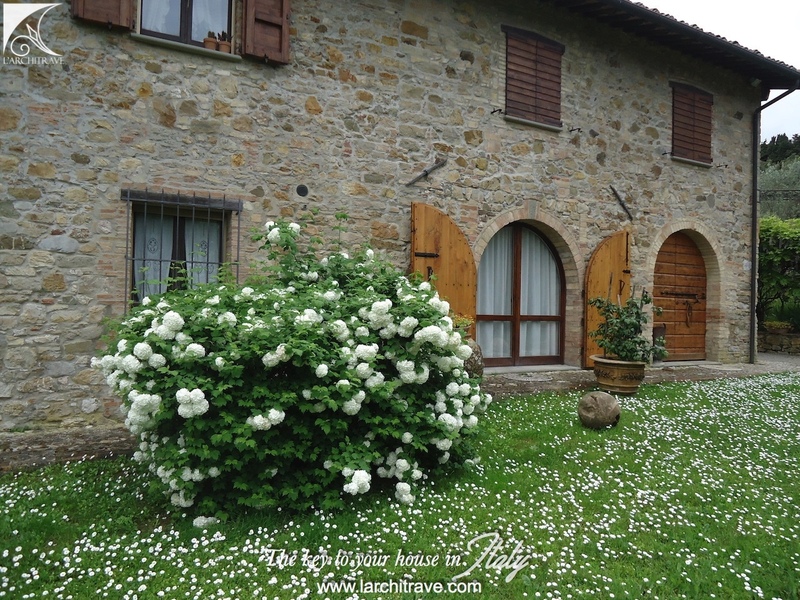 Podere Toscano comprises a beautifully restored house with four bedrooms and a studio. There are an additional two cottages on the estate. The farmhouse (400 sqm) is set amongst a stunning landscape planted with olive trees, fruit trees and woodland. 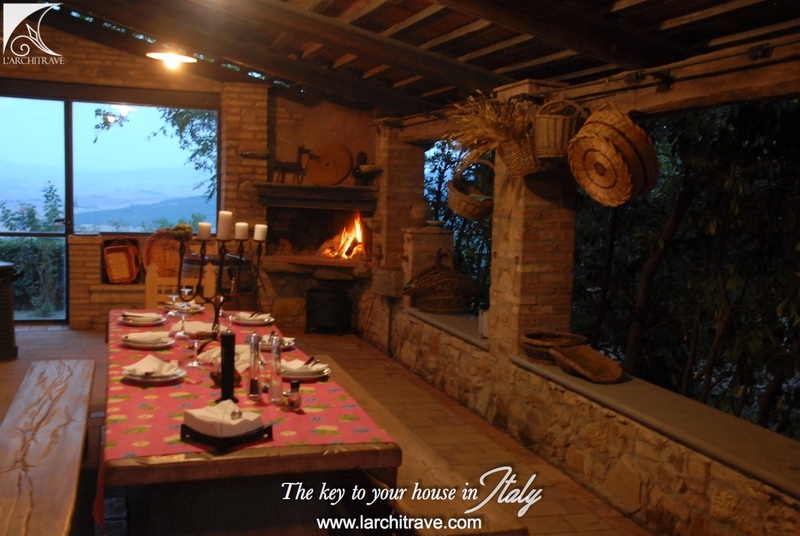 There is a large portico with BBQ, ideal for summer evenings. 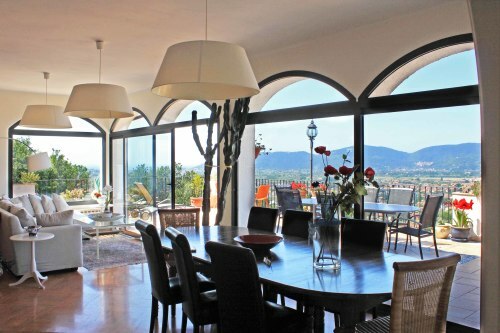 The large entrance hall opens onto a stunning kitchen, living room, another large open plan living / dining area, 5 bedrooms, one with large terrace and ensuite bathroom, 3 bathrooms. 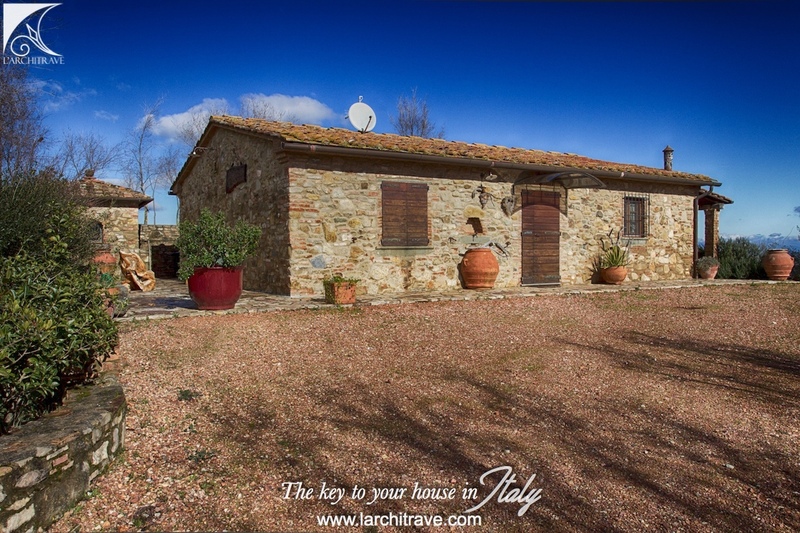 The dependence (70 sqm) has a large courtyard, terrace with BBQ area, open-plan living-kitchen, bathroom with shower and upstairs mezzanine bedroom. The second dependance (100 sqm) has a large portico and terrace with outdoor oven, BBQ area, open-plan kitchen-living area with fireplace, 2 bedrooms and bathroom with shower. 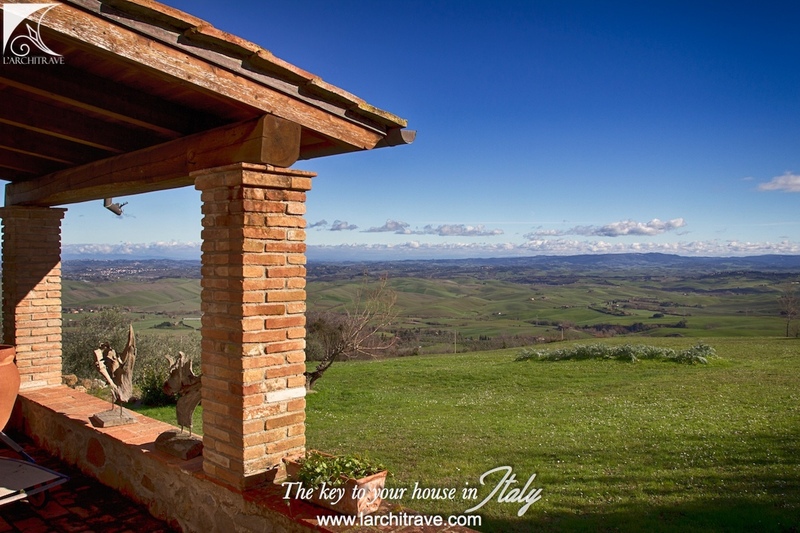 The two cottages have both exclusive privacy. 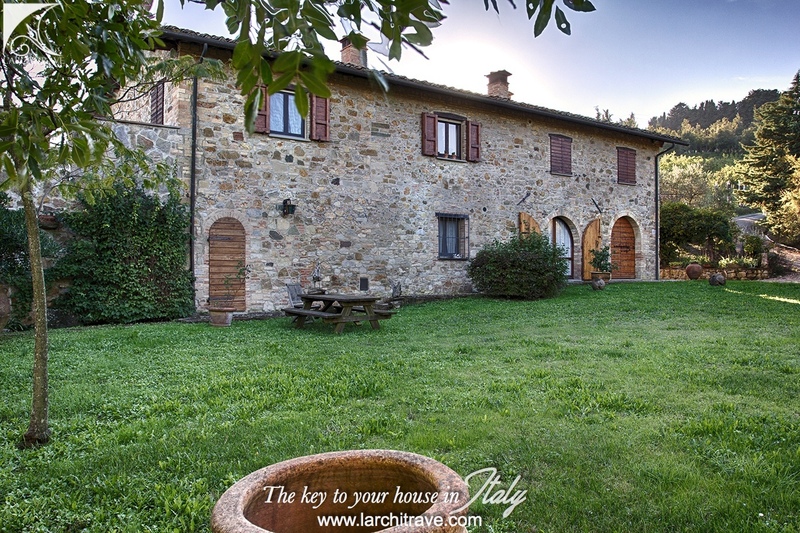 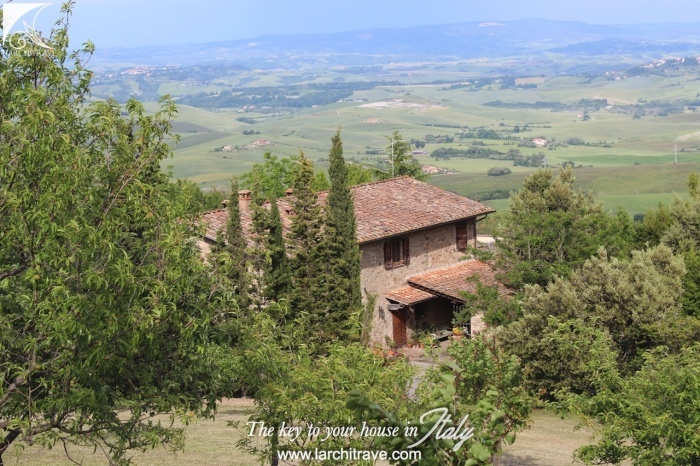 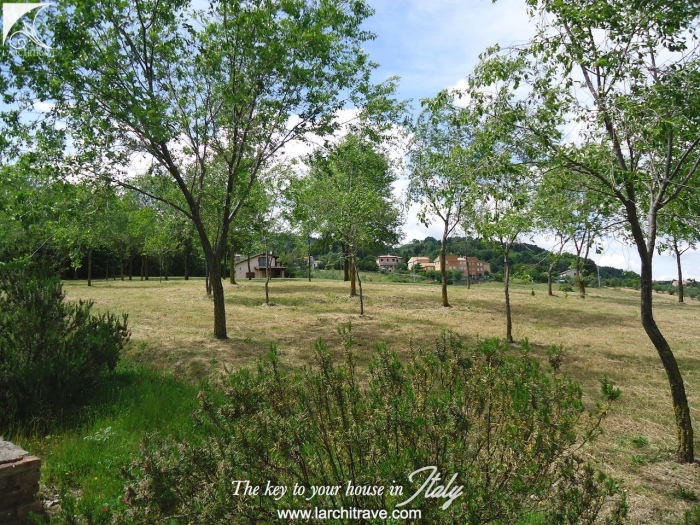 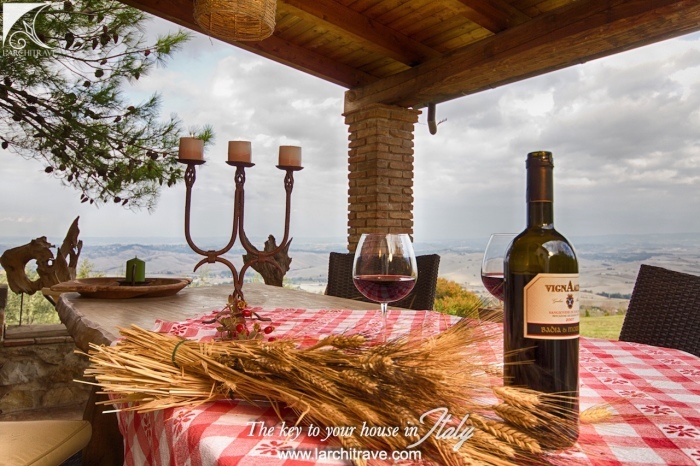 Immersed in the quiet of the countryside Tuscany, the property is in a panoramic and reserved position, and enjoys an outstanding view that extends from the plain of Pisa to the hill of the famous village of Volterra. 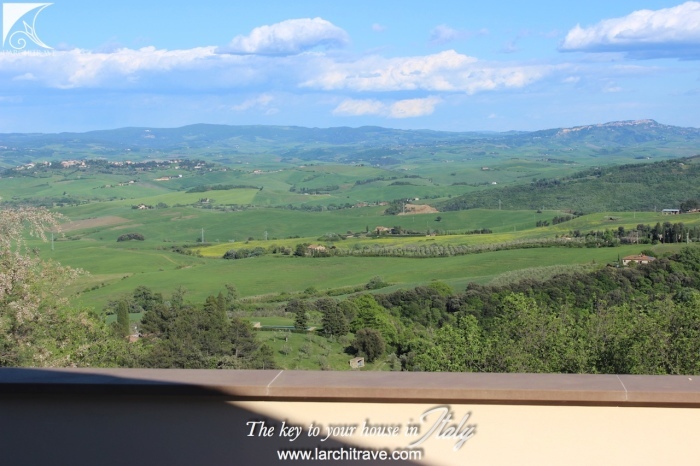 The beautiful land with a extension over 50.000 sqm with over 200 olive trees, orchard and oak trees is overlooking the hills and Volterra. 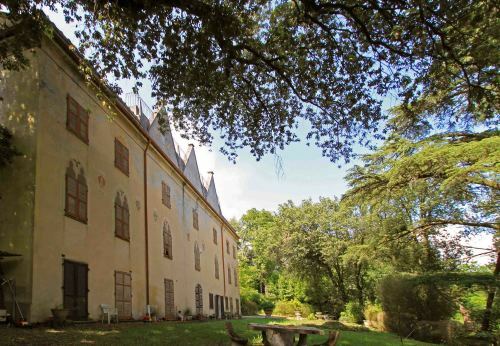 Three outbuildings area also part of the property. 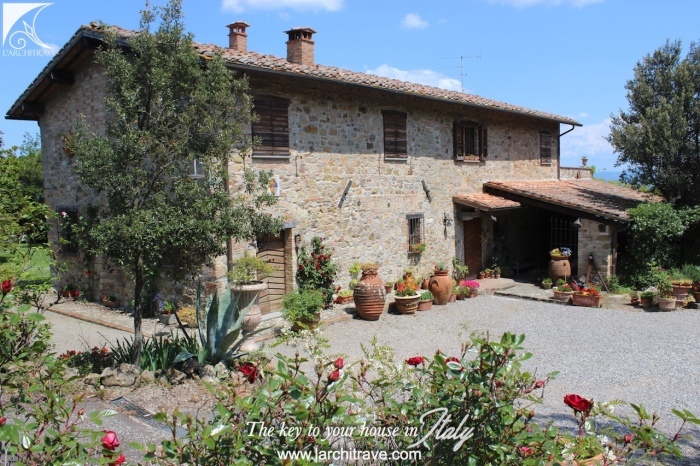 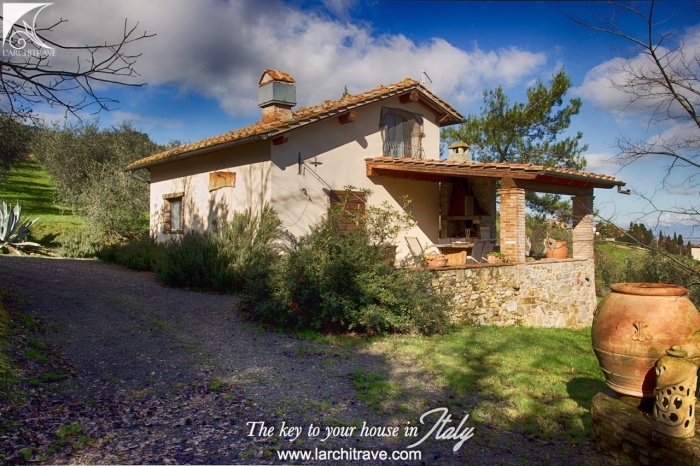 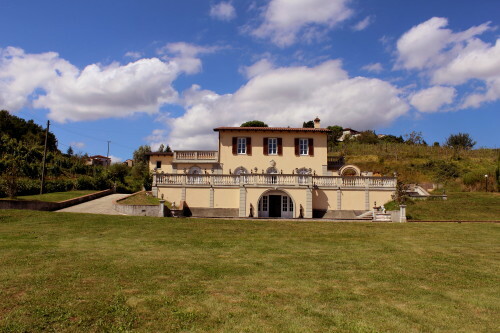 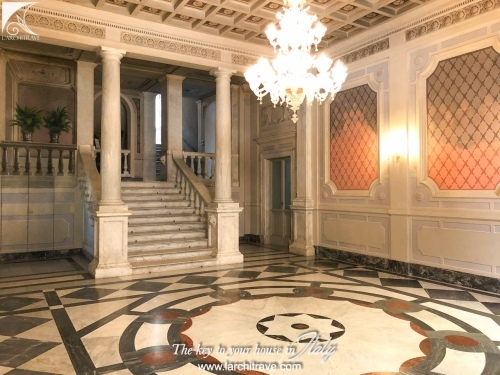 Ideal property for a family business of letting and living in one of the most beautiful spot of Tuscany at 5 minutes drive from the shops, restaurant and cafes of Chianni. 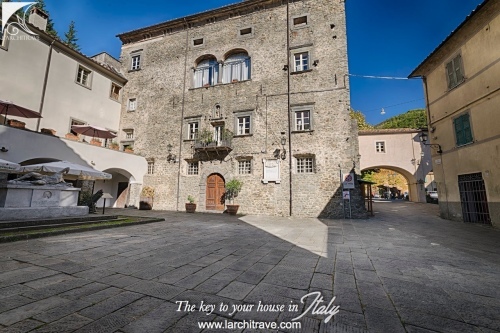 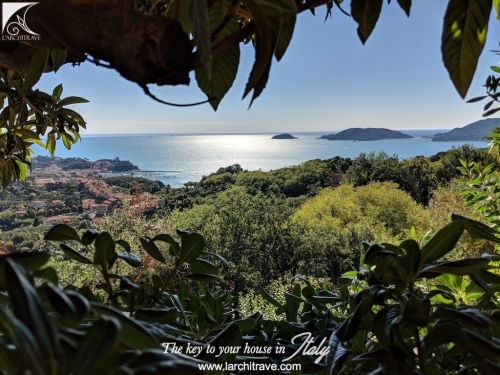 The pircturesque little town of Chianni where the houses are huddled together and its' narrow stone streets are flanked with shops, bars, cafes and restaurants, is within walking distance..